The town of Saint Louis in northern Senegal has many charms and attracts a number of tourists throughout the year. But spend any length of time there and you’ll likely find yourself approached by young boys asking for money. These young street children are known as ‘talibés’. The concept of a ‘talibé’ is unique to West Africa, and the problem is particularly bad in Senegal. A talibé (originating as a term for student or disciple) is a boy who has been sent by his family to live and work in a daara, a type of Islamic school. These daaras are run by teachers called ‘marabouts’. Daaras have existed for hundreds of years in West Africa, and have formed an important part of the culture. Traditionally, the boys sent to the daaras helped their marabout farm his land and produce crops. These crops would be used to feed everyone at the daara and in exchange, the marabout would teach the talibé boys about the Quran. Initially, the main aim of this practice was to help young men better integrate into society, by teaching them patience, humility and the importance of sharing. Begging used to be a minor part of this learning, but the reality today is far different from this educational ideal. How did this crisis begin? In the 1980s and 1990s, Senegal was hit by an economic and agricultural crisis that increased poverty across the country, particularly in rural areas where crops were affected by a serious drought. Though primary school was free to join, the associated costs of uniforms, school materials and the like made it too expensive for many families to fund. Supported by their cultural beliefs, families became all the more willing to give their children to marabouts in the face of these difficulties. However, the marabouts were facing the same financial struggles, with crops no longer sufficient to feed the numerous children. Many daaras were moved to the bigger cities where the economy was improving faster. Without access to farm land, children were forced to spend more time begging for money and food. Over the last few decades, this practice has become more and more corrupt, which has significantly reduced these children’s rights and future opportunities. Marabouts no longer feel the social pressure from villages to actually teach the children. Many daaras now have little to no supervision, and a number of marabouts run multiple daaras and enrich themselves off the backs of the street children. A 2014 survey from a national anti-trafficking unit counted 54,000 talibés in the Dakar area alone, 30,000 of whom were forced to beg daily. Another 14,000 talibés were counted in the northern Saint Louis region of Senegal. Many of these children come from rural areas or neighbouring countries such as Mali, Gambia and Guinea Bissau. They are aged between 3 and 18, live without their parents and spend most of the day begging in the streets. These young talibés are exposed to many city dangers, such as traffic accidents, child trafficking, and abuse, with no one to protect them. They are instructed by the marabout to meet a certain quota of food or money a day, and must meet it in order to avoid a beating upon their return. Hundreds of talibés flee the marabouts and become classic street children, or they turn to theft to meet the quotas. Failure to meet the quota may, though not always, result in physical abuse, meaning many children will prefer to sleep out in the street in this case, exposing themselves to further dangers. Many daaras do not have basic amenities such as a roof, water, sanitation facilities or electricity. The children often all sleep together on the floor, and are often only able to wash themselves once or twice a month. These poor living conditions mean the children often suffer from malnourishment, do not have sufficient clothing or footwear, are further exposed to illnesses, and receive poor medical treatment. There is no official recognition or status of marabout, so anyone can claim to be one. The practice of marabouts taking on talibés is seldom subject to state regulation, making it easier for abuse to occur. These marabouts also have a strong economic and political influence thanks to their religious status, hence the government’s unwillingness to put in place appropriate measures to prevent these practices. While many in Senegal acknowledge the situation should be radically reformed if not ended entirely, doing so is not an easy or simple option. What happens when the talibés turn 18? Having received no other form of education, these talibés often cannot speak French – the country’s official language – and have no professional skills. Even basic numerical concepts like addition and subtraction need to be taught to them from scratch. Most talibés become marabouts themselves, perpetuating this corrupt practice. Many others become homeless, unemployed, and often turn to crime. How does Projects Abroad help? Projects Abroad runs two main programmes in Senegal, which are aimed at assisting the talibés. We have set up a Talibé Centre which offers a haven of rest to these children during the day, as well as a place where they can enjoy some aspects of the life of a child, and benefit from some basic education, hygiene and healthcare. 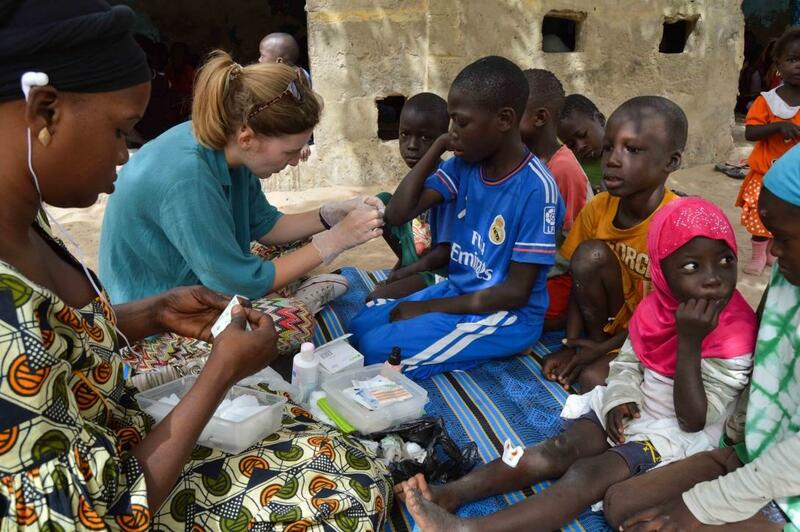 Volunteers teach the talibés some basic French, English and maths and, along with our nursing supervisor, tend to infected wounds and offer treatment for sick children. Talibés are able to have a shower, wash their clothes and brush their teeth at the centre. We also offer fruit juice and healthy, nutritious food for hundreds of talibés on a weekly basis. 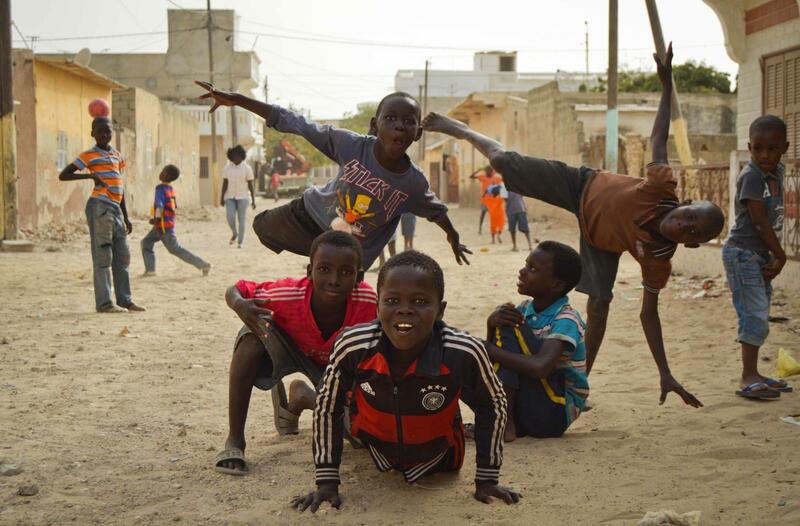 Volunteers organise sports and leisure activities for the talibés who visit the centre, so that they have a chance to enjoy just being children, even if only for a little while. Beyond the centre, our volunteers also go to visit the daaras and help teach the children to clean, in order to maintain some basic sanitation levels, and tend to the wounds of those who weren’t able to come to the centre. This project is specifically aimed at adult talibés. With no education and no experience, it is impossible for talibés to find employment or to receive loans after they leave the daaras. We are the only institution in St Louis to offer an interest-free loan to talibés, to help them move away from perpetuating the cycle of abuse and exploitation. Before receiving the loan, beneficiaries are taught basic subjects such as French, English, Maths and Business that will enable them to set up a small business. Beneficiaries so far have been able to set up businesses such as fruit stands, fast food stands, small shops, and so forth. By word of mouth, they are able to draw in more talibés interested in receiving a loan. Projects Abroad continues to monitor the beneficiaries, guiding them in the running of their business and how to increase their profits. The repayment rate for many people has so far been positive, and some beneficiaries are making profit from their businesses. Though on a small scale, this project will help empower these talibés as adults. Our plan for the future is to capitalise on the hard work of our volunteers and local staff, ensuring that we continue to provide vital care, basic education and skills training to these vulnerable members of society. Using our Global Impact Database, we can constantly monitor our progress in achieving our placement goals, such as improved literacy and numeracy skills. For example, in the past year alone, volunteers have made a significant improvement in ensuring children have access to reading materials and take part in activities to improve their French and English language abilities. 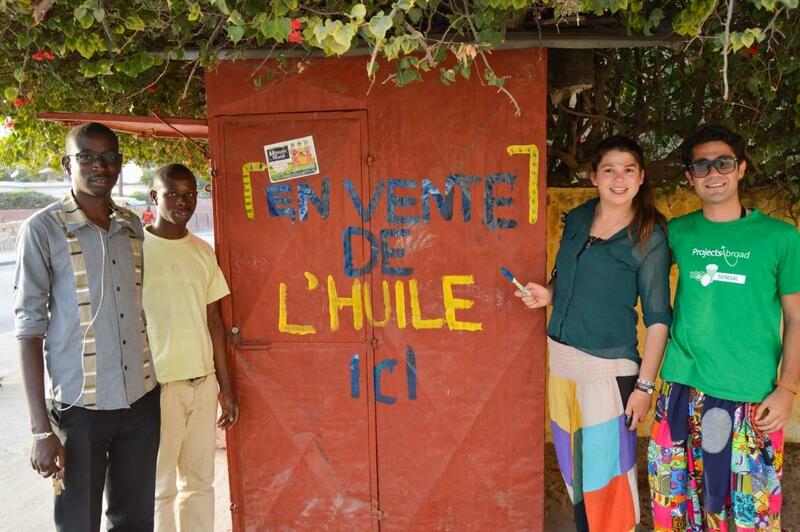 Volunteers have an important role to play on these placements in Senegal. By helping to train entrepreneurs in basic numeracy and business skills, or providing medical treatment to the young talibés, each contribution helps to improve the living conditions and future prospects of these boys.